They're great for houses, too. (SPOT.ph) In this fast-paced world we live in (and the terrible traffic it comes with), keeping your home clean is probably not as high on your priorities list as it should be. You have to allot so much time getting around the city so you spend the little time you have at home either catching up on sleep or bonding with the fam. Trust us, your life will feel a lot less hectic if you wake up to a tidy apartment. If you don’t have time to clean your place or if you’re simply lazy AF (admit it), we list 10 cleaning services in the Metro that will keep your homes squeaky clean and in tip-top shape! Lemon Cleaners initially catered to students near Taft Avenue back in 2014 but has since expanded to nearby areas like España, U-Belt, Pasay, Taguig, Makati, Mandaluyong, Pasig, Quezon City, Marikina, and Cainta. 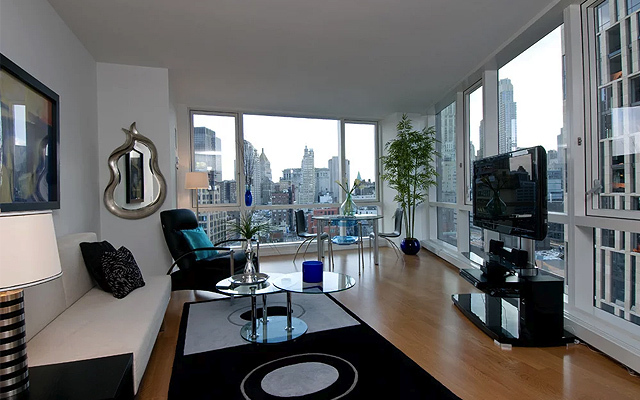 They provide cleaning packages designed for every kind of unit, whether you have a studio or a three-bedroom apartment. The Express (P339) is a one-hour service if you need a quick-cleaning job or a thorough cleaning for a specific area of your unit. 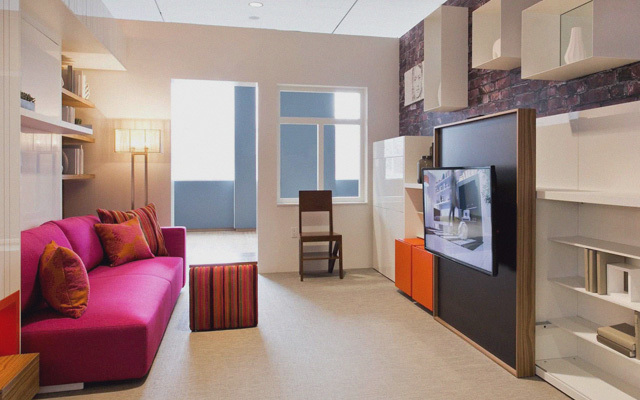 The Regular (P549) is a two-hour service recommended for studio-types to one-bedroom units. If you have a bigger unit, try the Deluxe (P989), a four-hour service that can include move-in and move-out assistance. 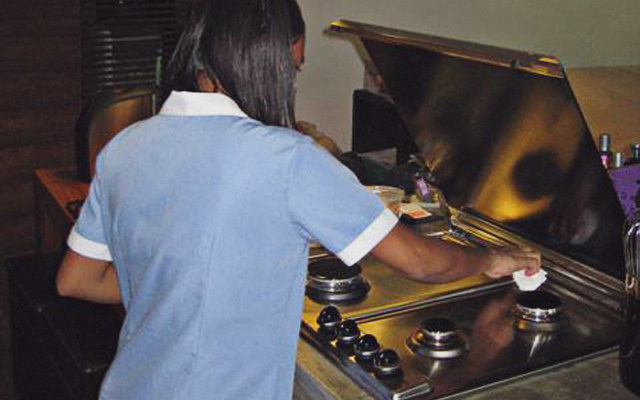 The Maid-A-Day (P1,489) package is an eight-hour service that includes laundry or ironing, move-in and move-out assistance, pre- and post-event clean up, and even running errands. No need to worry about cleaning supplies because they have their own vacuum and other materials. Think of Clean Home as the Uber of cleaning services. If you need your place cleaned up ASAP, just place a booking and you can expect one of their professionally trained Clean Home Partners to arrive at your doorstep in three hours. Clean Home caters to those who live in San Juan, Las Piñas, Pasig, Mandaluyong, Bonifacio Global City, Manila, Taguig, Eastwood, Makati, Parañaque, Pasay, Quezon City, and Ortigas. You have two options: General Cleaning (P750) for three hours and Quick Clean (P350) for one and a half hours. If you want thorough cleaning, go for the General Cleaning package which includes the basics like wiping furniture, appliances, and floors, cleaning bathrooms, making beds, and throwing trash plus closet cleaning, arranging clothes, changing linens, vacuuming, scrubbing water deposits and mold in bathrooms, cleaning the oven, scrubbing the sink, replenishing water pitchers, and even dog water bowls. The Quick Clean package is recommended for people who just want to get rid of dust and dirt in an instant. Cleaning Lady has a pool of TESDA highly skilled and TESDA certified cleaners, promising to provide quality service every time you book. If you need your condo to be squeaky clean, stat, they offer services that last from one to two hours. The One Hour (P350) service is recommended for one-bedroom units (maximum 35-square meters), the One and a Half (P500) for one- to two-bedroom units (maximum 50-square meters), while the Two Hours (P625) service is perfect for two- to three-bedroom units (maximum 80-square meters). All their packages include wiping and disinfecting surfaces, cleaning the floor, organizing items, wiping windows and appliances, cleaning the kitchen, throwing trash, making beds, and cleaning bathrooms. If an extension is needed, an additional P100 per 30 minutes will be charged. Make sure to book at least 12 hours before the service. It doesn’t matter if you have a one-bedroom apartment or a 10-bedroom mansion—Manila Maid adjusts their rates to your unit’s requirements. You can choose from one-time cleaning session or regular weekly or monthly appointments—the latter lets you enjoy discounts! For one-time cleaning session, rates start at P700. Manila Maid offers two types of cleaning. The first is Standard Cleaning which includes dusting and wiping surfaces, mopping all floors, emptying the trash bin, cleaning countertops, wiping large appliances, disinfecting sinks, scrubbing and disinfecting the bathroom, wiping cabinets, cleaning and polishing mirrors, scrubbing the shower area or tub, and changing sheets. The second type of cleaning is Deep Cleaning, which includes all of the above but also includes vacuuming carpeted areas, dusting light fixtures, cleaning the inside of the stove, refrigerator, and kitchen cabinets, cleaning shower doors and cabinets, and cleaning wardrobes and drawers. Manila Maid caters to areas like Makati, BGC, Taguig, Ortigas, Mandaluyong, San Juan, Malate, Pasay, and more. Gawin is an online platform that lets you hire a cleaner, plumber, or mover when you need it. Their cleaning services include sweeping, mopping, and wiping all areas of the home including kitchen, toilets, and windows. You have the option of a four-hour session with one cleaner or a two-hour session with two cleaners. Their rates are based on the size of your unit and whether you will be providing cleaning materials or not. 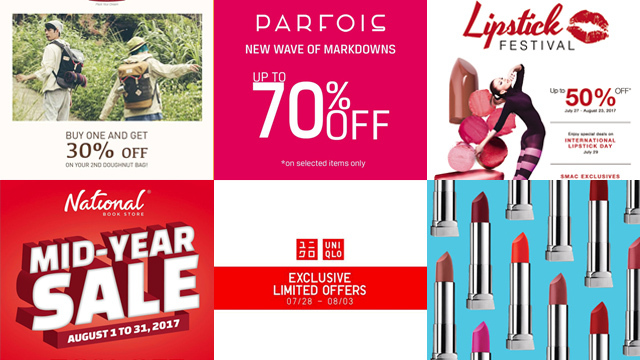 If you will be providing the materials, rates start at P800. 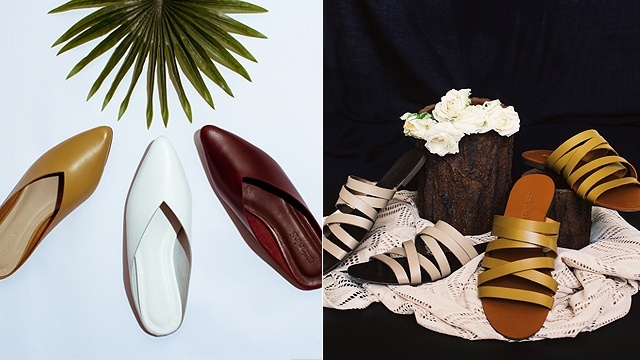 If you want the cleaners to bring their own materials, rates start at P1,400. The best part? You can get a re-service or your money back if you aren’t satisfied with the results of the cleaning! Helply provides home cleaning services within Metro Manila. Just fill out the form on their website and they will find you a cleaner in no time! 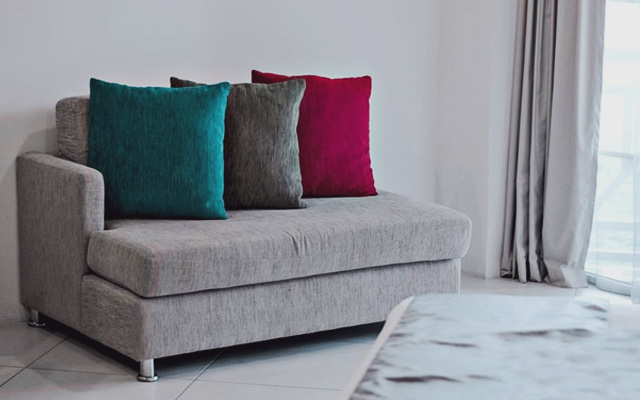 What makes Helply stand out is that their cleaning service has no time limit and is offered at a fixed price, depending on the size of your unit. Rates for a single-bedroom studio-type starts at P400, while rates for a 100-square meter house starts at P500. Just make sure to book at least two days before you need your home cleaned. Helply also provides other kinds of home services like electrical and plumbing works, aircon cleaning, clothes ironing and folding, and grease trap cleaning. Looking for a cleaner that will give your space a total rubdown? 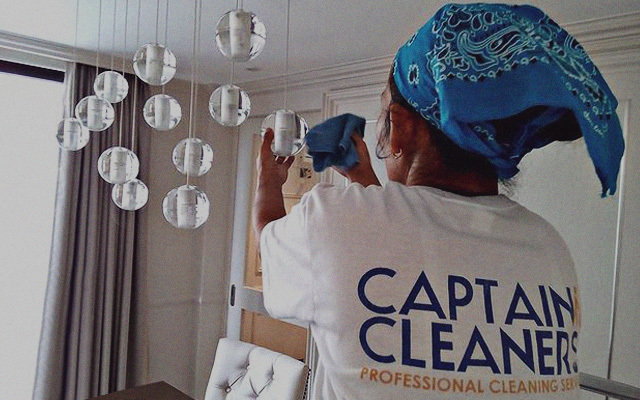 Captain Cleaners provides different packages for the kind of cleaning service you need. Their Deep Cleaning service has no time limit and is perfect for people who need an all-around general cleaning. Rates start at P3,500 (below 50-square meters) and depends on how large your space is. Deep Cleaning includes brushing and wiping of ceiling, cleaning walls, window ledges, and baseboards, polishing windows, mirrors, glass panels, and glass doors, cleaning cabinets, shelves, and drawers, polishing kitchen and bathroom countertops, fixtures, and fittings, cleaning of kitchen appliances, vacuuming upholstery and carpets, mopping floors, and sanitizing countertops, upholstery, door knobs, and light switches. On the other hand, you can opt for the Half-Day Cleaning (P600/four hours) or Whole-Day Cleaning (P1,150/eight hours) which includes housekeeping, tidying, dishwashing, and garbage disposal. If you want a cleaner to come by regularly, go for their packages: Half-Day Cleaning (P2,360/four visits; P4,650/eight visits; P6,850/12 visits) and Whole-Day Cleaning (P4,400/four visits; P8,400/eight visits; P12,000/12 visits). While they may not have a website yet or an up-to-date Facebook page, Sweep Inspirations’ edge lies in word-of-mouth and repeat businesses—which tells you a lot about their service than any social media outlet. 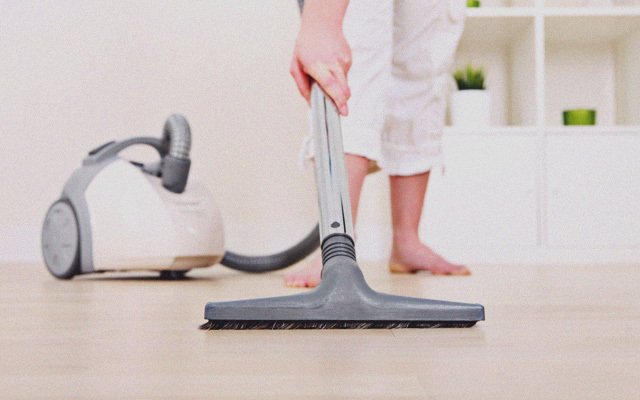 Sweep Inspirations offers Deep Vacuum and Shampoo and General Cleaning Services. They’re the perfect pick if you just want your mattress, sofas, couches, rugs, curtains, et cetera to be vacuumed and shampooed. Their General Cleaning Service includes deep and thorough cleaning, perfect for spring cleaning, move-in and move-out cleaning, and post-renovation or post-construction cleaning. They take everything to a whole new level—upon inquiry for a job, they usually schedule an ocular visit so they can see the condition of the place, how many people they think is needed to do the job, and what materials they need so they can give a proper quotation. 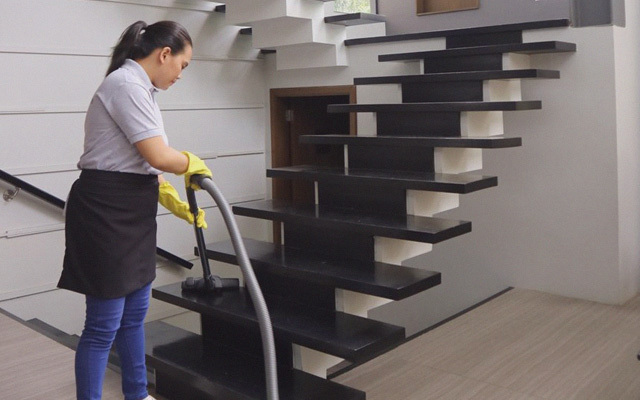 Generally, their Spring Cleaning service is P1,200 per hour and for post-renovation or post-construction service, it’s P1,500 per hour. The Deep Vacuum and Shampoo rates depend on the size of the item. Sweep Inspirations caters to homes within Metro Manila but occasionally services outside of the Metro as well. Pro tip: Inquire via text message, they’re very responsive. 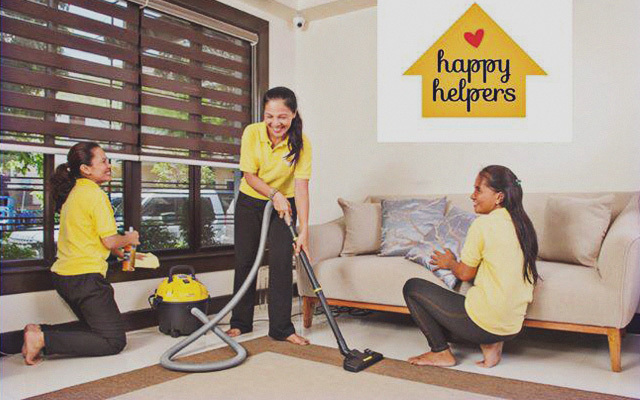 Getting a Happy Helper does not only help you get a sparkly home without having to do actual work, you’re also helping Gawad Kalinga women and caring for the planet since they make use of biodegradable cleaning products like Messy Bessy. Their Deep Clean package is a general cleaning service that starts at P1,000. The Subscription Cleaning Package starts at P3,000 which is perfect for people who want their place to be cleaned regularly. The rate depends on the number of sessions and cleaners you want for each visit. They also have a Move-In and Move-Out package, a Post-Construction Clean, as well as a Hyla Vacuum Package which includes intense vacuum cleaning of mattresses, couches, et cetera (price depends on the item). Prestige Housekeeping provides General and Extensive Cleaning (P600/studio; P650/one-bedroom; P700/two-bedroom, and P800/three-bedroom) which includ a s thorough cleaning of kitchens, bedrooms, living rooms, and bathrooms. What's good about Prestige Housekeeping is that their housekeepers can get the job done without worrying about time limits and the rates are at fixed prices. They will sweep, mop, and polish the floor, vacuum carpets, clean glass windows, sanitize toilet bowls, and wipe your items till they're dust- and stain-free. They also offer Office/Commercial Cleaning, After-Party Cleaning, Post-Construction Cleaning, and Warehouse Cleaning.